Kashi’s booth installation inspired impromptu photo ops. As the world becomes increasingly more health-conscious, certification standards like USDA Organic or Non-GMO are becoming a regular part of our vernacular. 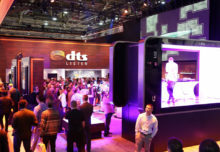 But the Certified Transitional initiative is still a question mark for most consumers. 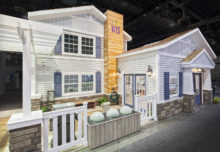 To change that perception, Kashi executed an activation at the Natural Products Expo West in March that event organizers ultimately dubbed the “anti-booth.” There were no brand ambassadors. No high-tech engagements. No samples (gasp). Instead, the brand leveraged an eye-catching installation to drive home the importance of supporting farmers in their transition to organic farming. So what exactly is Certified Transitional? The movement aims to improve the three-year transition period required of farmers to achieve USDA Organic Certification. During that time, it’s difficult for farmers to see immediate ROI, making many of them reluctant to apply for (or complete) the certification. To help support farmers in this transition, and to improve the U.S. food system overall, Kashi partnered with Quality Assurance International to create a Certified Transitional standard. The badge will represent goods produced at the highest standards during a farmer’s transition to organic farming while paying them fair wages, and is open to any brand. It’s not an easy message to convey. 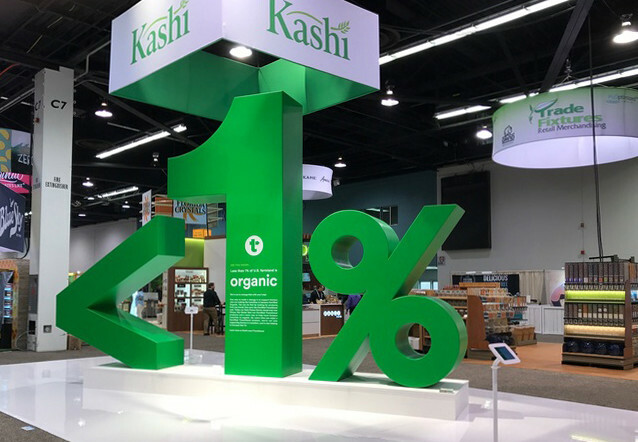 So, to snag the attention of expo attendees, Kashi translated its Certified Transitional messaging into a massive, green “<1%” (less than one percent) installation, highlighting the fact that less than one percent of U.S. farmland is Certified Organic. 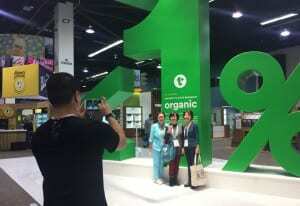 The display not only “stopped attendees in their tracks,” according to the brand, but drew them into the 20-foot by 40-foot booth for more information, thanks to some small copy on the “1,” which offered insights on organic farming. Those who wanted to take a deeper dive into the topic could speak with Kashi employees, one of Kashi’s partner farmers or read more via on-site iPads. Early birds also had a chance to connect with Kashi at the expo through its sponsorship of a morning yoga class led by Wanderlust yogi Caley Joyner. 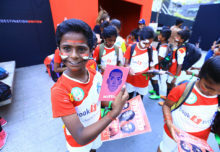 The event featured DJ Sol Rising spinning tunes, and was live-streamed on Facebook, amassing over 6,000 views. 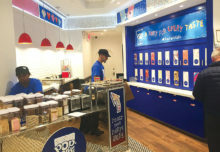 “We wanted to share something we felt was so near and dear to our hearts in a way that would earn us some media as the primary goal, versus sample counts,” says Natalie Knopp, associate brand manager at Kashi. “It’s the one place where you have a curated media, consumers and customers all in one place.” Agency: OBE, Sausalito, CA.